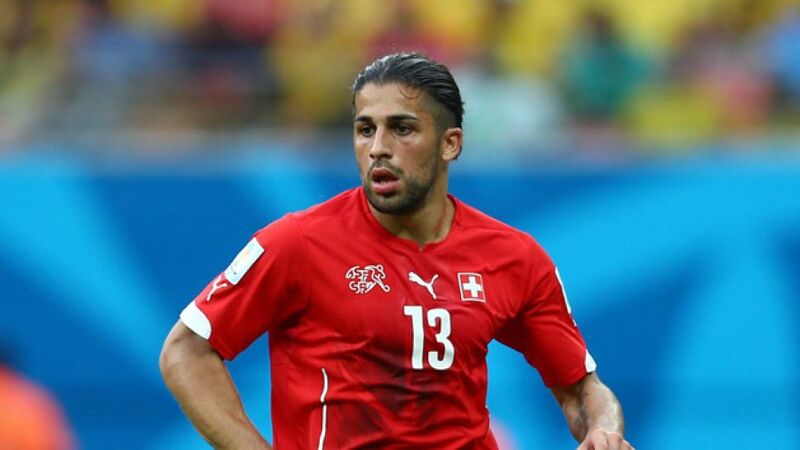 Sarnen/Wolfsburg - VfL Wolfsburg left-back Ricardo Rodriguez has emerged from a three-man all-Bundesliga shortlist to be named Swiss Footballer of the Year 2014. The 22-year-old beat off competition from team-mate at club and international level, Diego Benaglio, and FC Bayern München winger Xherdan Shaqiri to claim the prestigious honour, after he helped his side to the last 16 of the 2014 FIFA World Cup. "I'm just part of the team," intoned Rodriguez. "I can only bring my best performances so that we're successful together, as a team. I'd like to dedicate this to my colleagues in the national side and to the brilliant fans at Wolfsburg. Becoming Swiss Footballer of the Year is a real honour." It is the second time in two years that the award will be held by a player plying his trade at Wolfsburg's Volkswagen Arena, after Benaglio picked up the prize in 2013. For his part, Shaqiri's place on the all-Bundesliga list of contenders was assured after a World Cup hat-trick against Honduras in the group stage. Over half of the Swiss squad in Brazil, knocked out by eventual finalists Argentina in the last 16, were based in the Bundesliga.